Our HETAS registration means we are fully qualified and insured to safely install your wood burning or multi-fuel stove. Our Gas Safe registration means we are fully qualified to install your gas fire. Over the years we have specialised in stone and marble surrounds and we are highly experienced in the design process for solid fuel installations. 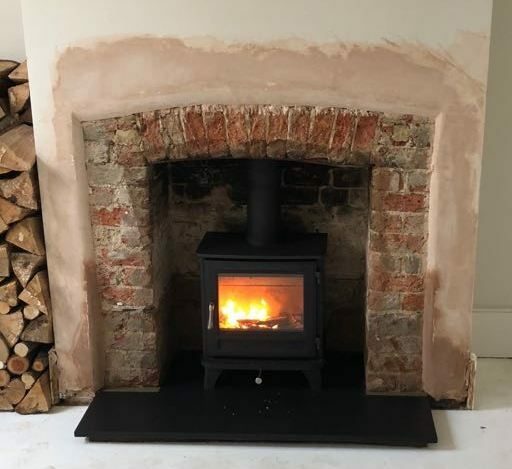 Snug provide an installation service for wood stoves, multi-fuel stoves, chimney liners, twin wall chimneys, fireplaces and gas fires and we cover the whole of Kent. Our installers are HETAS and Gas Safe registered with over 20 years of experience in this field. We also provide gas fire servicing for all natural gas fires. We offer a complete service from site survey to design and installation and our close association with a number of fireplace and stove retailers means we can help you to source these products to meet your exact requirements, although we are also happy to fit stoves that have been purchased elsewhere. We provide stove and fireplace installations throughout Kent, including Canterbury, Ashford, Maidstone, Tonbridge, Thanet and Dover. Contact us today to book a free survey. Our business was established in 2000 with the aim of providing the highest standard of workmanship whilst offering the best possible prices for our customers, no matter the size of job undertaken – from small stoves to full redesigns. We are proud to continue with this ethos which is highlighted by the large number of referrals we receive from existing customers.